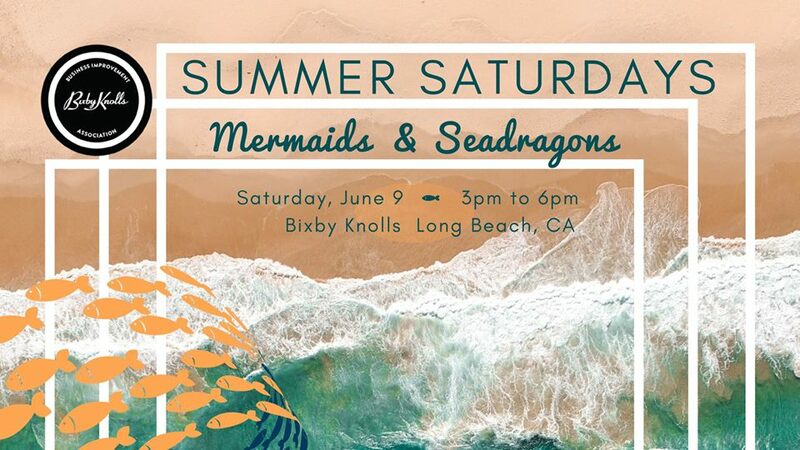 The first Summer Saturdays put on by the Bixby Knolls Business Improvement Association (BKBIA) will kick off this weekend with an overwhelming amount of activities for the area’s locals and visitors alike to indulge in celebration of warmer months. From beer making to myriad specials offered by businesses, it’s a way to bring the community out to support the area’s local proprietors, said BKBIA Executive Director Blair Cohn. The design of the event specifically puts people inside local businesses up and down Long Beach Boulevard and Atlantic Avenue and aims to get more BKBIA members outside of the pedestrian zone involved. “The real mission of the event is to have the business host an activity that showcases what they do and what they do best,” said Cohn. Cheese Addiction, for example, is offering cheese and wine pairing classes, Deep Blue Swim School—in line with the event’s theme: Mermaids & Seadragons—is offering a free “swimming with a mermaid” event and The Merchant is discounting pastries to 40 percent off. A “Beer Trolley” will be transporting jolly imbibers to and from locations like Liberation Brewing Co. and SmogCity at SteelCraft “to get our ‘Brewery Knolls’ theme going,” said Cohn. Personally, Cohn said he’s going to see how many places he can stop by within the allotted three hours. He has a list printed and ready and will be starting at one end of the street and working this way throughout the entire district. Mermaid ice cream for @bixbyknolls Summer Saturday event Mermaids & Seadragons! It’s VEGAN! Made with oat milk, organic vegan sugar, organic bubblegum flavor oil, boysenberry, and raspberry. The flavor is Berry Bubblegum. Available Saturday at our Bixby Knolls Shop. Looking ahead, July and August will feature different themes, with Cohn anticipating even more businesses jumping on the bandwagon. The challenge of organizing a day-time event are not lost on Bixby Knoll’s most avid promoter, but with such “extra special” programming and guests able to stick around for dinner after the classes and music, Cohn isn’t worried.